What is "Fair Trade" in the Chocolate Industry? A trading partnership, based on respect, that seeks greater equity in international trade. It contributes to sustainable development by offering better trading conditions to, and securing the rights of, marginalized producers and workers. What exactly does this mean and why is this a big deal? In 2000 journalists began documenting the continued practice of forced child labor in the West African cacao trade, a source of 70% of the world’s chocolate. Since the Ivory Coast in West Africa alone produces 40% of the planet’s raw cacao, its beans are mixed into almost every brand of mass-produced chocolate. Large global corporations such as Hershey and Nestle have historically done little to address the problem of slave labor, and most cocoa on the world market is bought “blind,” through importers and brokers. Besides the slave labor issue, cacao farmers are often forced to sell their harvest to middlemen who rig scales and misrepresent prices. 1. International Labor Organization Conventions on child labor and forced labor are adhered to. 2. 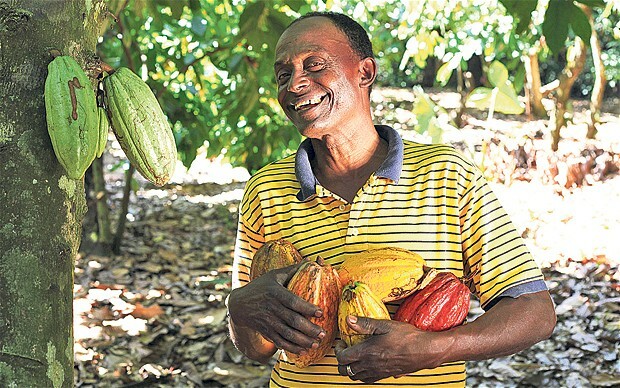 The cacao beans were bought directly from a democratically controlled co-operative of small scale farmers, which helps them gain more control of their livelihoods and ensures farmers a higher percentage of cocoa export revenues. Organic cacao has a built-in aspect that makes it somewhat automatically a fair trade product. Organic farms are subject to their own independent monitoring system that checks labor practices. Also, as of now, cacao beans are not organically grown in the Ivory Coast, which is where the vast majority of the reports about exploitation and slavery in the chocolate trade are centered. 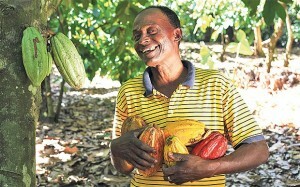 Mayesa purchases its organic cacao beans through Fair Trade from farmer co-operatives in Peru. Knowing this you can enjoy your delicious healthy chocolate drink feeling as good about the way the chocolate was grown and harvested as you do about the way it tastes. Comments Off on What is "Fair Trade" in the Chocolate Industry? Chocolate as the Perfect Gift – When Did it Start? The ancient Mayans (250-900 C.E.) are the first to have discovered how delicious cacao beans were when fermented, roasted, ground into a paste, then mixed with other ingredients (the Mayans used chili peppers and cornmeal, among others) to create a spicy chocolate drink. Sugar was unknown in ancient times. When the Aztecs conquered the Mesoamerican lands in the 1400s, they, too, became enamored with the great cacao bean, and required that the people they conquered pay their tribute in cacao seeds. 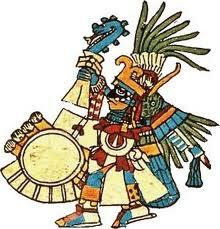 The Aztecs favored cacao beans above gold, and the beans soon became the society’s form of money. Since the Mayans and Aztecs also used cacao beans, and the chocolate drink made from them, as gifts to their gods in religious ceremonies, you could say that the practice of giving chocolate as a precious gift originated here. Used as it was in their religion, the Mayans and Aztecs considered the cacao bean and the chocolate drink made from it to be sacred. For this reason only the elite of their societies were allowed the privilege of drinking the beverage. These included the rulers, priests, and decorated soldiers, with an honored merchant occasionally included. Enter the Spanish Conquistadors, who marched across Mesoamerica beginning in the first part of the 16th Century. Cortez had been sent by the Spanish king to seek out the gold known to be heavily used by the Aztecs. So Cortez and his men were surprised to find that the Aztecs did not use gold as their form of money, but instead prized the lowly looking cacao bean. After watching the Aztecs enjoying a chocolate drink, the Spaniards indulged, became fans, and started shipping cacao beans back to Spain, resulting in Europe’s first contact with chocolate. Interestingly, although Columbus actually brought cacao beans back to the Spanish court years earlier, the Spaniards had no idea what to do with them, and it was left to Cortez to learn from the Aztecs the rich secret of cacao. Anytime you are looking for the perfect chocolate gift, the perfect answer is Mayasa – it’s not only delicious but healthy chocolate, too! Comments Off on Chocolate as the Perfect Gift – When Did it Start?